Last fall, my brothers, my husband and I went out to an Irish pub in my hometown. After, ahem, several drinks it was decided that we all need to have a breakfast shot. It was delicious though completely ludicrous to see a round of shots coming toward our table garnished with sausages. 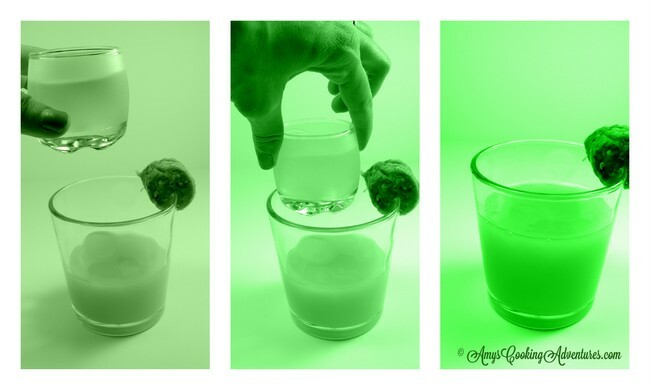 Ever since then, I knew I would be making these shots for St. Patrick’s Day. Place the orange juice into a drink cup, garish with a slice of sausage. Mix the Irish whisky and buttershots in a double shot glass. Drop the drop glass into the glass of orange juice. Consume with a sausage chaser.